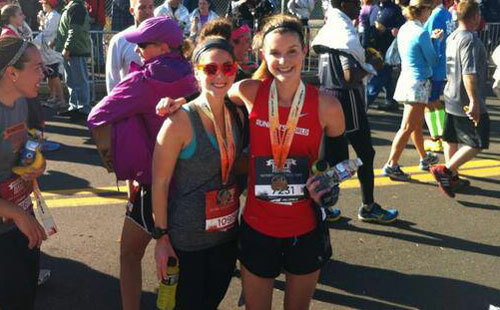 Race Recap: Runner’s World Half Marathon | Fit Girl. Happy Girl. That sounds like a great event!! Pennsylvania is beautiful and I would love to run there. Good luck next week!! This past weekend has motivated me to get back to blogging and reading blogs, so I think I’ve missed out on all your training! Looks like you’re in great shape heading into the weekend. Have fun and run strong! I was at the Runner’s World races this weekend too! I did the 10k and I have so much respect for those who did the half – that course was so hilly! Congrats on getting through it and good luck with your marathon! The Half is a “civilized” distance to run. It’s definately a race and you feel like you ran a race. But it doesn’t beat you up the way a marathon does. I find that after mile 20 something is always hurting. I thought of running a half marathon each month some year. I have to many other marathons to get to first, but it’s one of those ideas. The runner’s World weekend was great – I tried to “take it easy” for the half because I had done the 5k and 10k the day before. I started with the 8 min/mile pacer but 3 miles in I decided to pick it up and carved my way through and still finished strong. My first marathon is Philly in 2 weeks so this was a perfect weekend for marathon training. I think it must be the marathon training that has helped me enjoy the half marathon distance – I hated it when I did it for the first time last year.